Races exists as the result of artistic rebirth and personal rediscovery. Wade Ryff's hit a point in life (as many artists do) where motivation was scarce. He was faced with the dilemma of being 23, a failed relationship, and being stuck at his parents house in suburbia where he wrote the lyrics to "Big Broom." He explains the songs message is about, "accepting that every ending is a new beginning, and even if we may have no control over when things are given or taken from us, we can always choose how to respond." At the same time a handful of other musicians were faced with the same challenge of idling through their 20s in search of a new beginning. In a "mad dash" Ryff and Herberg got in touch with some of their old friends an assembled a "dream team" of five. 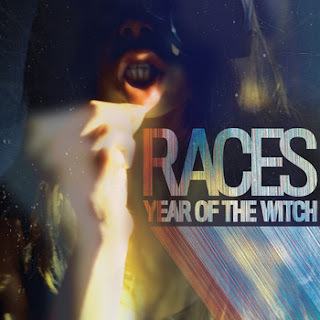 Knowing each other from playing in previous bands together, Breanna Wood (Keyboards), Garth Herberg (Guitar), Lucas Ventura (Drums), Devon Lee (Vocals/Percussion) and Oliver Hild (Bass) would soon become Races. The vocals on the second track "Big Broom" are both dreamy and engaging mixing male/females vocals. They have created an almost classic-psych sound while keeping it indie and pop driven. Although, at its core, there are plenty of waltzes such as: "The Knife", "Walk Through Fire", and "All For You" which all have the melodic lyrical directness of Ryff's solo work. Races is already writing material for their followup album, where they hope to integrate more electronic textures. While remaining modest, they are speeding up with goals to play at venues such as the Bowery Ballroom in NYC. All in all, I have much appreciation for an album that heavily touches the subject of that uncertain/weird time most of us go through in our early 20s with such optimism for a bright future. Buzzbands LA : "the sextet “melds charismatic indie-pop highlighted by the boy/girl vocals of Wade Ryff and Devon Lee, jammier psych-rock built around by guitarist’s Garth Herberg’s textures and the revivalesque energy meted out by bands such as Arcade Fire.” That’s a mouthful, but its right on.